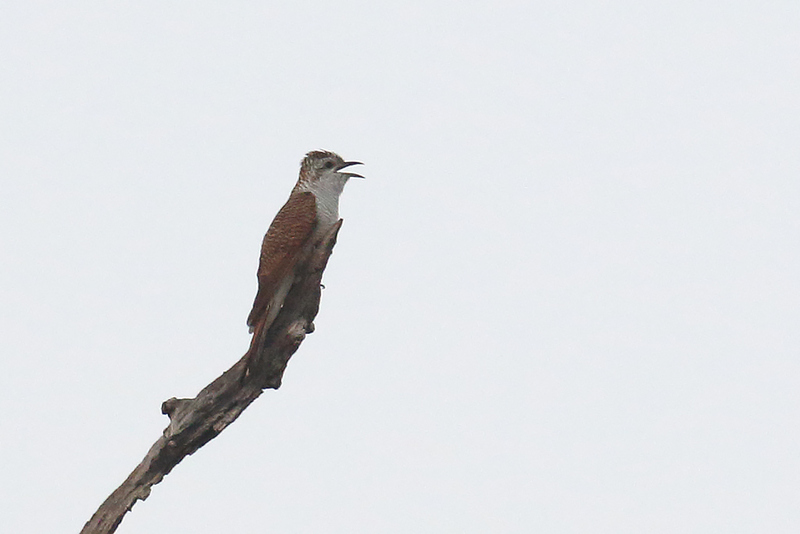 Early in the morning we birded another area west of Tmatboey where we heard and saw a Banded Bay Cuckoo. Then we headed east to a river valley in the forest. 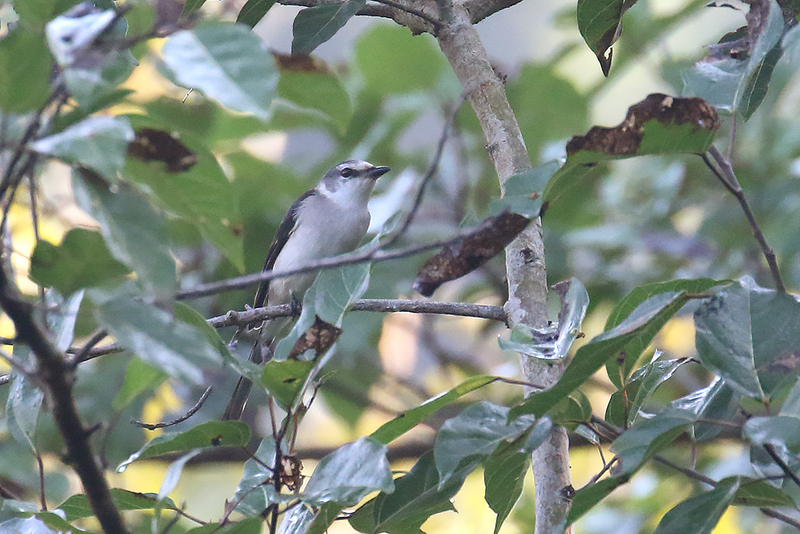 Among the birds we saw here were Stork-billed Kingfisher, Indian Pied Hornbill, Van Hasselt’s Sunbirds, and a small group of Swinhoe’s Minivets feeding with Bar-winged Flycatcher-shrikes and bulbuls. 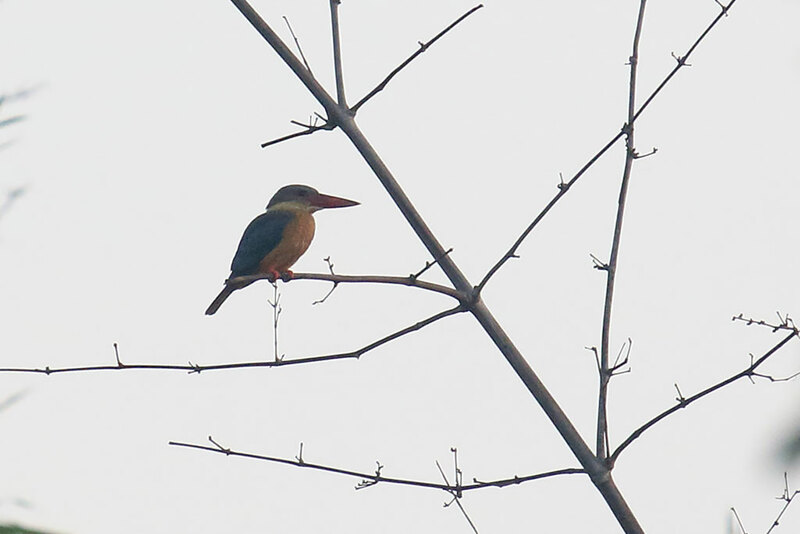 Most birds were across the river but we had good views with telescopes. 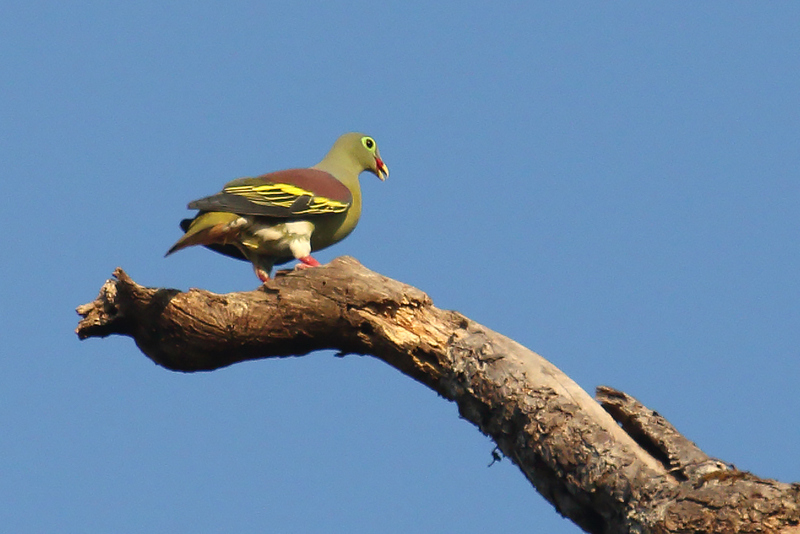 On the way back, we saw a Thick-billed Green Pigeon and a nice White-bellied Woodpecker. 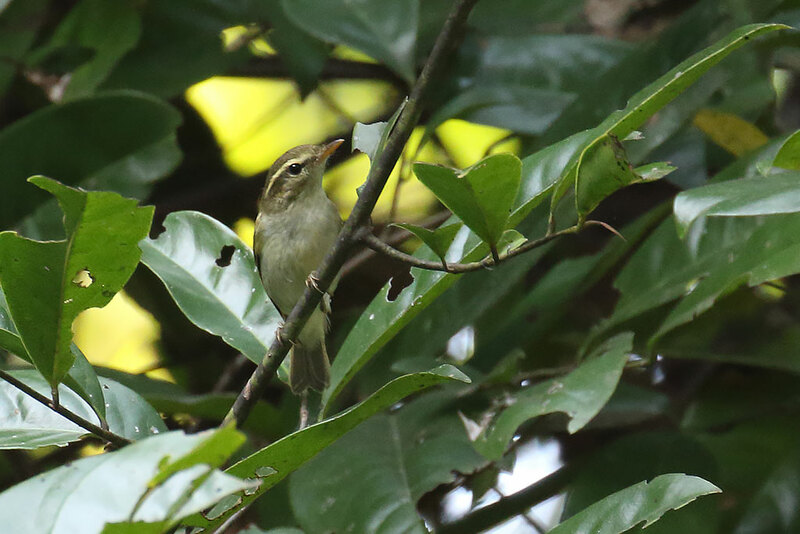 Near the end of the track we heard the distinctive call and had good views of a Pale-legged Leaf Warbler. 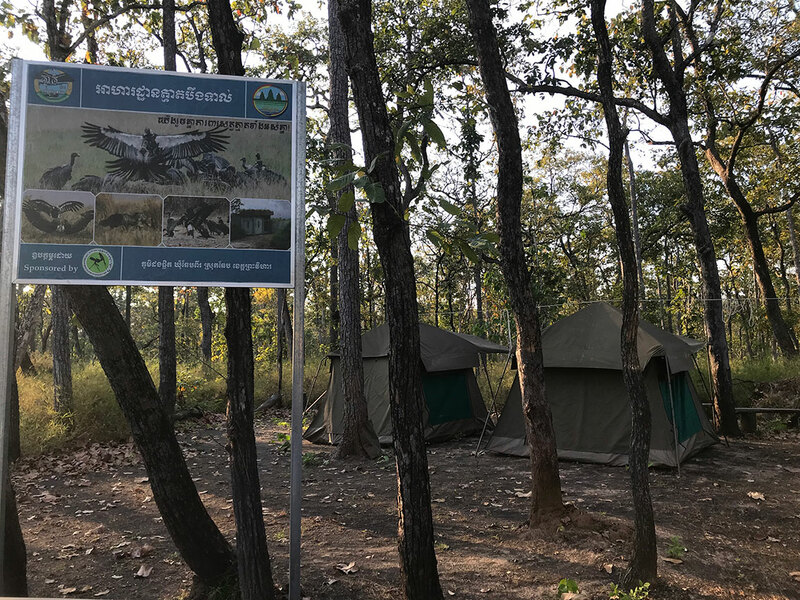 In the afternoon, we headed towards Boeng Toal which is an area of forest where a vulture feeding station has been set up. Three species of vulture regularly come in to feed here and two dead cows had been left out for the vultures. 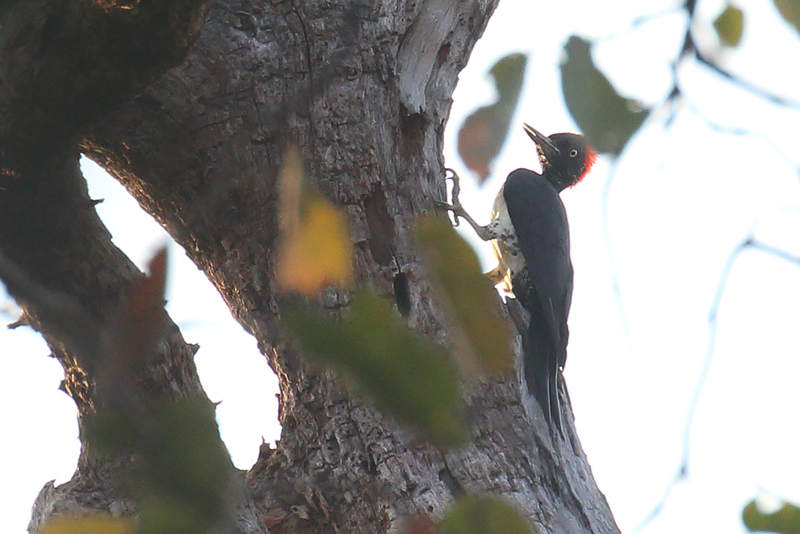 When we arrived at the hide in the late afternoon, we heard some Chinese Francolins calling and some Green Bee-eaters were catching insects near the hide. 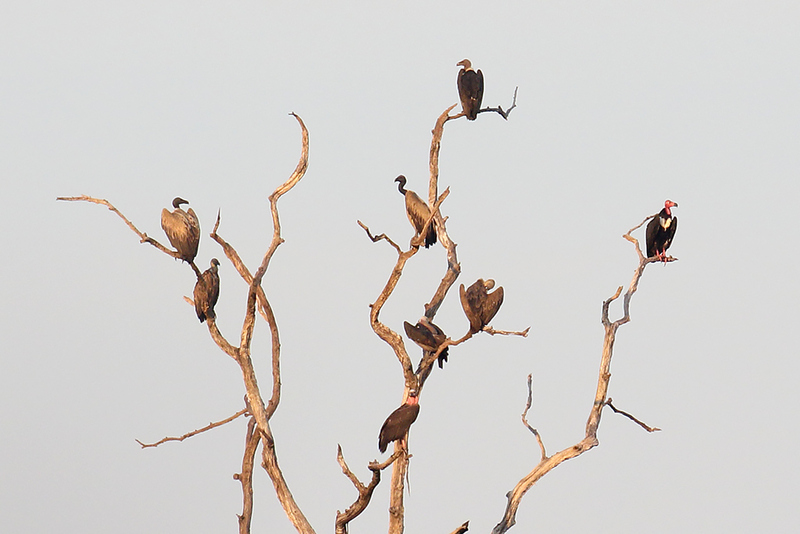 From the hide we had good scope views of White-rumped, Slender-billed and Red-headed Vultures resting in distant trees. It takes time for the Vultures to come in to feed, so we left to try again in the morning. At camp during the night we heard Collared Scops Owl, Oriental Scops Owl, Asian Barred Owlet, Great-eared Nightjar and Savanna Nightjar. 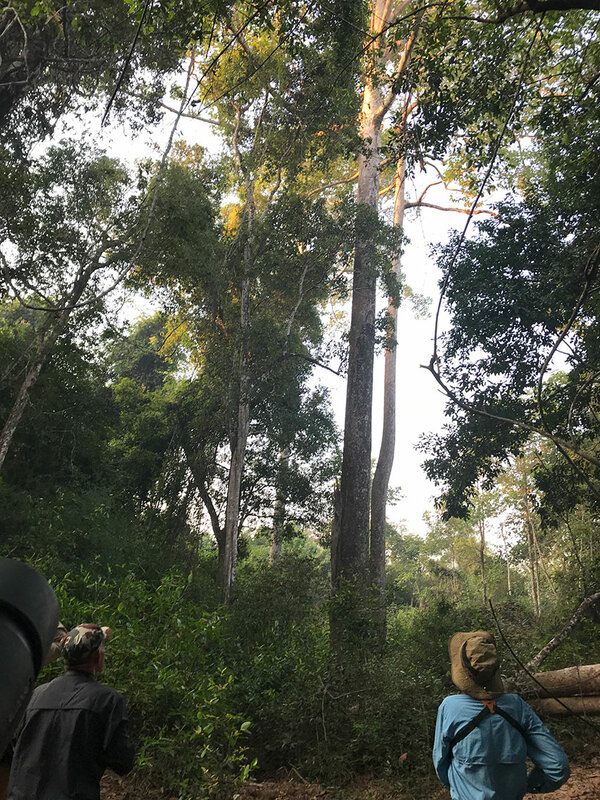 Tmatboey Forest, Preah Vihear Province, Cambodia. December 21st, 2018. Banded Bay Cuckoo from Irish Twitcher on Vimeo. 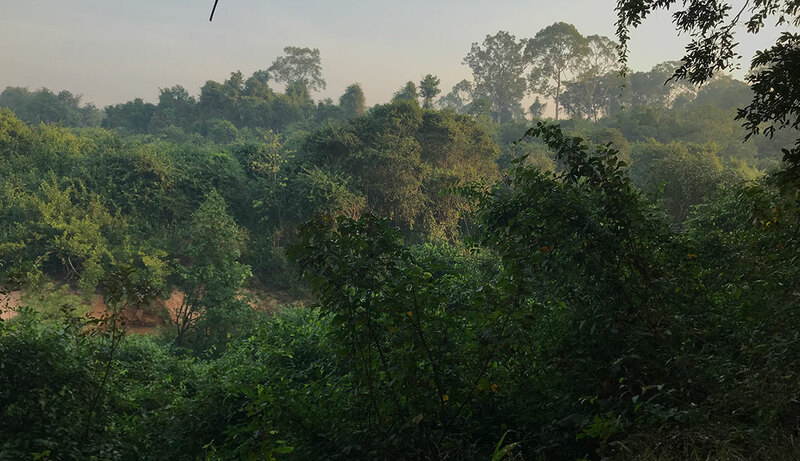 Boeng Toal, Preah Vihear Province, Cambodia. December 21st, 2018. Tmatboey, Cambodia. December 21st, 2018. Boeng Toal, Cambodia. December 21st, 2018.